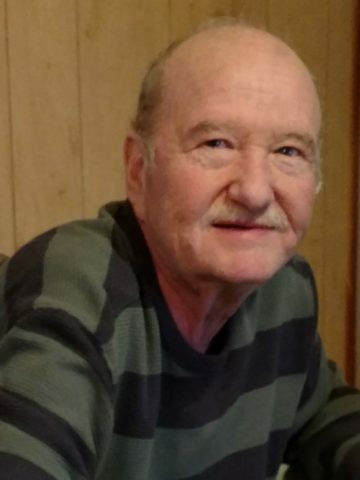 Mr. Bobby Joe Butler age 67, of Hendersonville, TN, passed away on Tuesday, June 26, 2018. Mr. Butler was born in Madison, TN, on June 2, 1951, the son of the late Robert Leslie Butler, Jr. and Mamie Edith Spears Butler. He worked with Kroger for many years as a meat cutter and was known as “Captain Bob.” Mr. Butler enjoyed fishing, gardening, and cooking. He will be remembered for his contagious smile and sense of humor. In addition to his parents, Mr. Butler was preceded in death by his brother, Michael Butler. Survivors include his son, Robbie (Dana) Butler; a daughter, Brittany (Jason) Ballard; granddaughter, Katie Grace Butler; three grandsons, Kaleb Butler, Lucas Ballard, and Zachary Ballard; and three sisters, Jane (Ralph) Cravens, Barbara Butler, and Deborah Butler. Several nieces and nephews also survive. A Celebration of Life will be held Sunday, July 1, 2018, at 2:00 P.M., Hendersonville Funeral Home. Gathering of Family & Friends will be held Saturday from 2:00 P.M. until 6:00 P.M. and Sunday one hour prior to service at Hendersonville Funeral Home. In lieu of flowers the family respectfully requests memorial contributions be made to Long Hollow Baptist Church (Celebrate Recovery) Attn: Janet Chambers, 3031 Long Hollow Pike, Hendersonville, TN 37075. What a precious, funny man. I can hear him singing, hollering and laughing across Kroger. I’m so sorry for your loss..
Prayers for peace and understanding in the days to come. So very sorry for your loss.. My thoughts and prayers are with you.